Pregnancy, the birth of a baby, or an adoption brings physical, emotional and social changes. Adjustments to the new roles and relationships are not always easy. Up to 4 out of 5 mothers will experience the Postpartum Blues or “Baby Blues”. 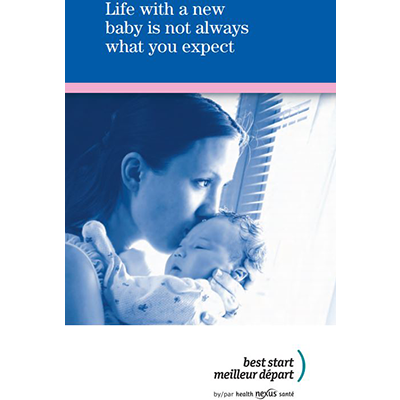 This 12 page brochure provides pregnant women and new parents with information on the baby blues and postpartum mood disorders. Parents are encouraged to seek help and use strategies for self-care.